Groups that reserve by 27th of August can get a small present. ●We will provide various of beers from the world including South America. ●You can take a salsa lesson by a professional instructor! 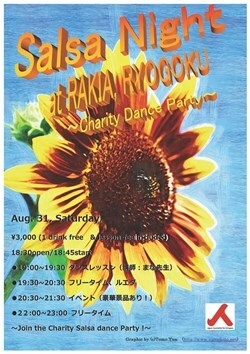 ●A salsa dance contest will be held. You can win a nice prize! ●All profits from the event will be used to help refugees in Japan.